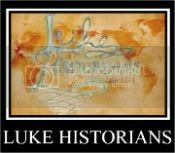 Visit our new website at www.LukeHistorians.com: ALERT: Christian Girl From Muslim Family Runs For Her Life in U.S.A. ALERT: Christian Girl From Muslim Family Runs For Her Life in U.S.A. The girl's full name is said to be Fathima Rifqa Bary, but she only calls herself Rifqa, which is actually a form of the Biblical name Rebekah. Let us keep her in our prayers. Pamela Geller of Atlas Shrugs has exclusive in-depth research on the case at http://atlasshrugs2000.typepad.com/atlas_shrugs/rifqa-bary-slow-motion-honor-killing/.